The Planning Commission offers free, optional sketch plan review assistance to help bring developers and municipalities together so that proposed developments better meet community planning goals. 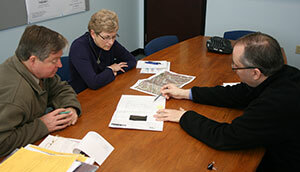 Planning Commission staff is available to discuss sketch plans and will provide an informal review of the plan. Plans can also be submitted to our office using the standard plan submittal process and Act 247 referral application by choosing “Unofficial Sketch Plan” under the “Type of Review Requested” section. Click here for the application.